McDonald and Woodward Publishing Company, 9780939923229, 144pp. This work tells the story of the common dandelion, that remarkably widespread plant that is known, for better or worse, by just about everybody. 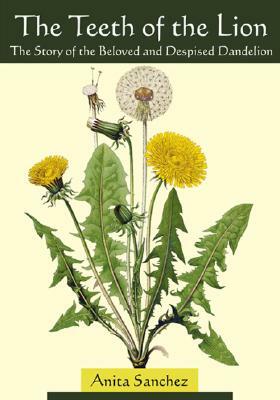 Through a series of short essays, written in accessible language and a thoroughly engaging style, Anita Sanchez takes the reader on a journey through the natural history of the dandelion and its long association with humans. Joan Jobson's illustrations add important details and subtle accents that enhance this journey. Well-adapted ecologically to spread into and thrive within disturbed sites - such as the lawns, playgrounds, roadsides, and parking lots in which they are most often encountered today, and viewed as weeds - dandelions also have had a lengthy, welcomed association with humans as medicine, food, and objects of ritual, magic, and folklore. The Teeth of the Lion will be a source of enjoyable, fascinating, memorable information of interest to all users. It will provide naturalists, wildflower enthusiasts, gardeners, interpreters, teachers, landscapers, and homeowners a better understanding of one of the most common, well-known, and perhaps under-appreciated plants to be found anywhere.